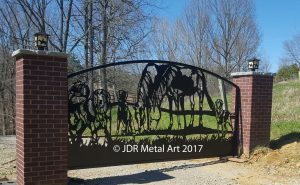 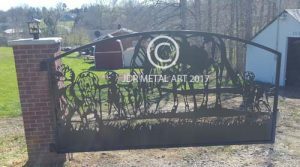 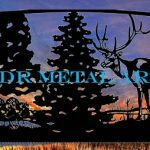 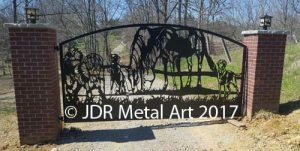 louisville driveway gates Archives - Custom Driveway Gates - Iron Steel & Aluminum - JDR Metal Art - FREE Standard Shipping! 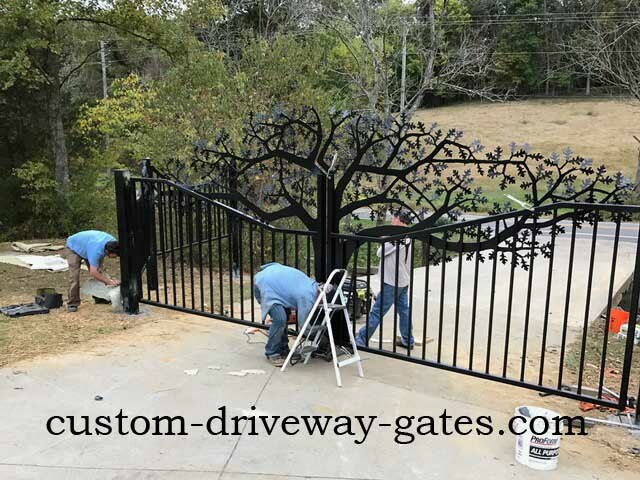 Gorgeous tree-themed Louisville KY driveway gates and fencing we recently installed for our client. 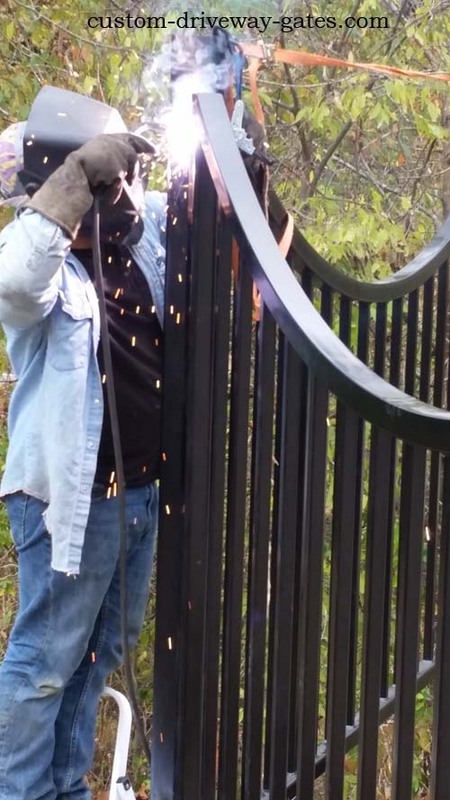 The driveway gates are 18′ wide and each fence panel is 8′ wide. 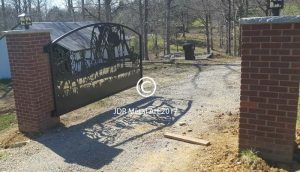 We built four fence panels with the tops rolled into inverted arches. 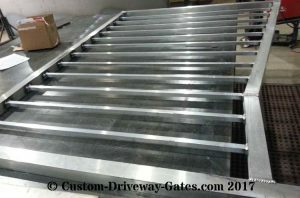 2″ square tubing frames with 3/16″ wall thickness and 1″ pickets with 1/8″ wall thickness means these fence and gate panels are built to last more than a lifetime!! 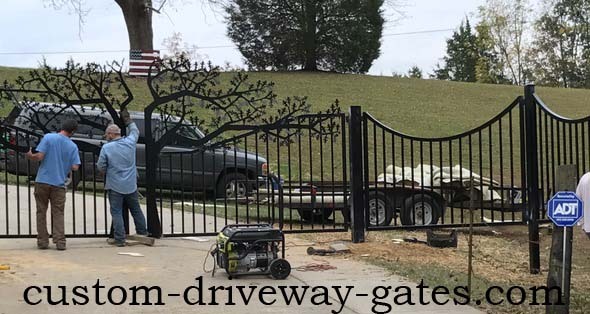 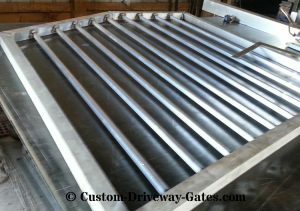 Serving All of Kentucky’s Custom Driveway Gate Needs! 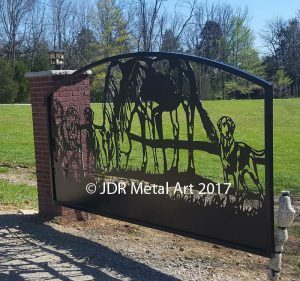 We regularly work with clients from Kentucky. 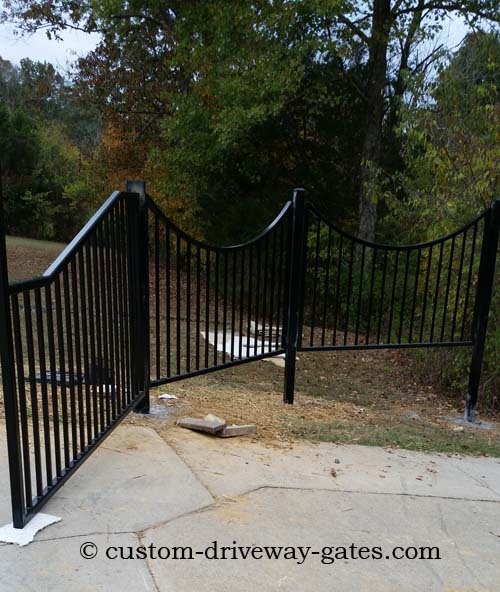 For instance, here’s a set of Lexington driveway gates we worked on in 2015. 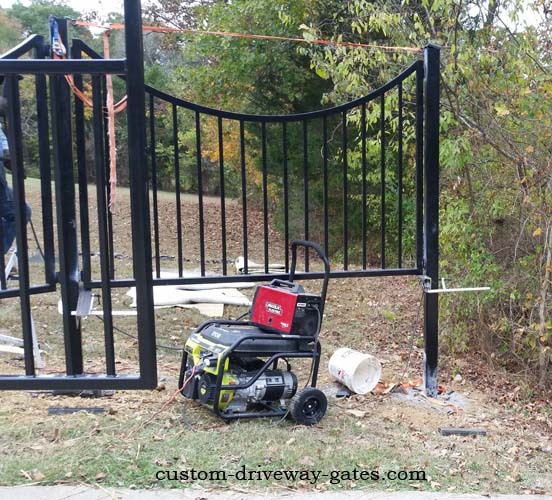 And here’s a set of Louisa, KY driveway gates we are currently working on. 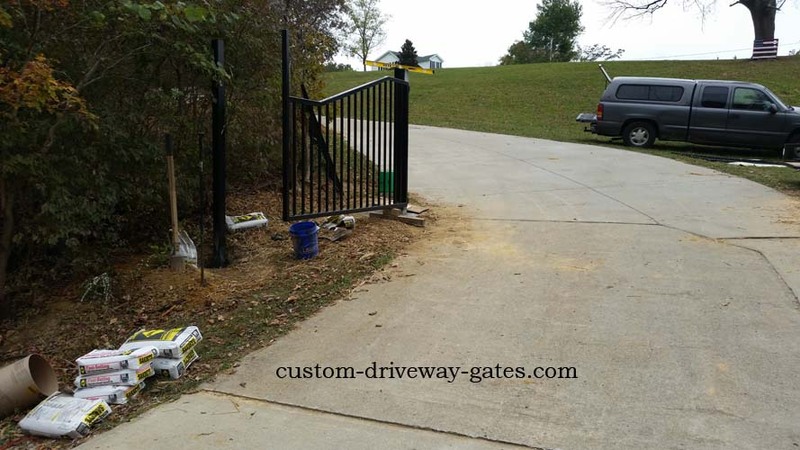 We’d love to hear about your upcoming driveway gate project! 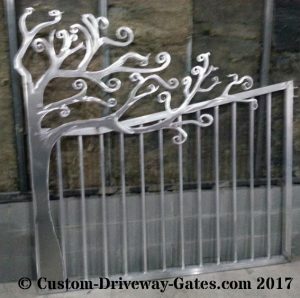 We are able to make any gate design that you can imagine! 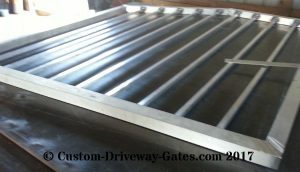 And we have the most competitive pricing nationwide! 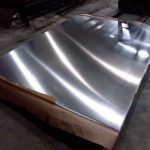 Get a free quote with our form below…it’s fast and easy!